Every nursery or cosy corner needs a special chair to cuddle up in. 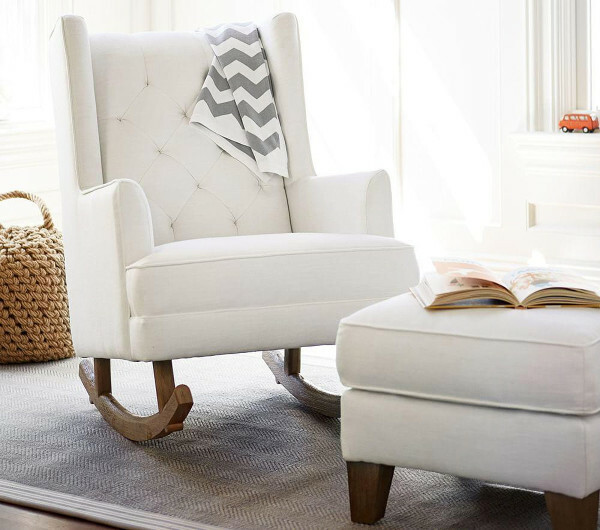 This new stylish wingback rocker from Pottery Barn is just such a chair. Come and see. Sometimes it seems that parenthood really has you run off your feet – but in reality, being a parent or carer to young children involves a lot of sitting down! You’ll sit to feed your baby (a lot) in the first year, and on top of that there are lovely hours to be spent sitting with a book, soothing in the middle of the night, and even just having a special cuddle. 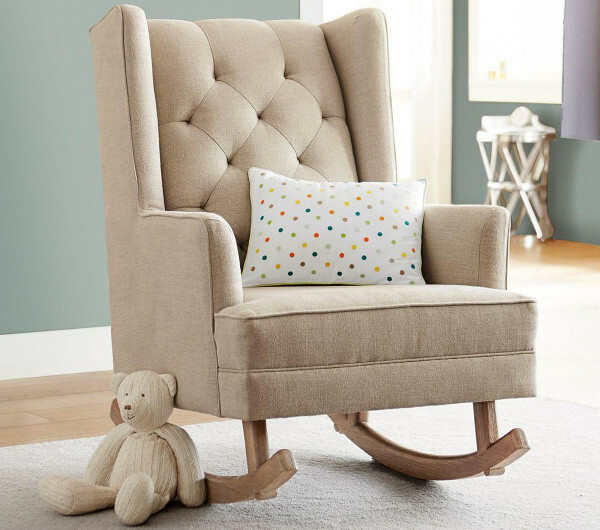 All that sitting requires a chair that you really like, and we really like the new Tufted Wingback Rocker from Pottery Barn. This is a chair with classic good looks – the kind of chair you’ll happily move to other parts of your home once you have no more need for it in the nursery. Available in two neutral shades, its linen blend will fit comfortably into the modern nursery or playroom, and more importantly, you’ll be sure to fit comfortably into it! Even better, it’s a rocker, so you’ll avoid the need to pace the room with your unsettled child and can sit and rock comfortably instead. The short armrests are perfect for nursing mothers, giving you the support you need, without cramping your space. You can order the Tufted Wingback Rocker from Pottery Barn for delivery within Australia. The rocker is $1199 and you can even pick up a matching ottoman for $536.